With 11 official venues, CES spans almost 3 million net square feet of exhibit space and features 24 product categories across 25 Marketplaces. The LVCC (Las Vegas Convention Center) alone has a two-level south hall, a massive central hall, and a north hall. This year there were at least 180,000 attendees and 4,500 exhibitors. 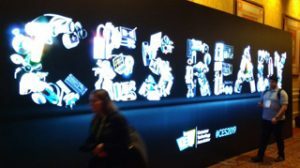 Another metric that highlights the scope of CES is the fact that there were 6,500 journalists from all over the world writing articles, blogs and conducting and broadcasting interviews. 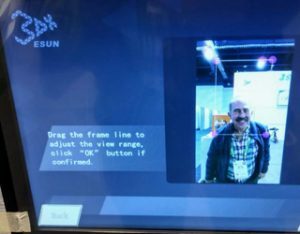 The show was so large that each edition of CES Daily was 162 pages, and yet when combined, they barely covered the most noteworthy or award winning products. As in prior years, there were not a lot of companies catering to the industrial marketplace (although, when not at work, everyone is ultimately a ‘consumer’!). Even so, there were scores, if not hundreds of new products with implications for the industrial market. Passing by this sign in the Sands hotel, attendees were near the entrance to Eureka Park (home of Indiegogo and many startups) and the Innovation Awards pavilion. 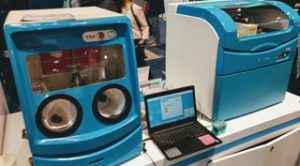 Asking someone to pick the best products or gadgets at the show is like asking a parent to select their favorite child – difficult, if not impossible! The first overwhelming observation is the extent to which AI is becoming a part of so many products across nearly every industry, factory, office, home and car. 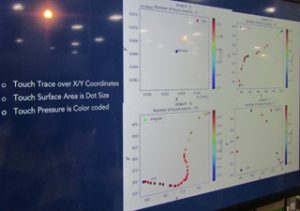 Intel and Qualcomm again had large exhibit areas and showcased their expansion of higher speed, smaller, and better performing chips to accommodate both AI and 5G needs of the future. Forget about “fake news” for a moment. Nearly every company today does some form of online or mobile advertising. A major problem is that it is not always clear whether a click on an ad was made by a human or a bot. Unbotify stops bot fraud with behavioral biometrics and machine learning by analyzing the characteristics of keystrokes that only humans can make. By checking human-device interaction against a machine learning model, sophisticated bots that try to impersonate humans are exposed and invalid traffic can be identified. Advertisers will have a better way to assess the ROI on their marketing expenditures. 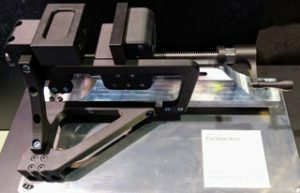 For many people with ideas for new products, there is a need to find the materials and companies that can help create prototypes and later manufacture them in quantity. As such, Design & Source is a marketplace within CES where startups, designers and sources came together to discuss and resolve such problems. 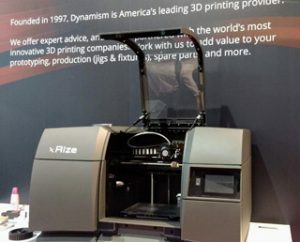 There were walls of 3D printers and printed objects in all shapes, sizes and colors. Printers and scanners are performing their tasks faster, more precisely, and with a greater variety of materials, yet prices have been kept reasonably low. 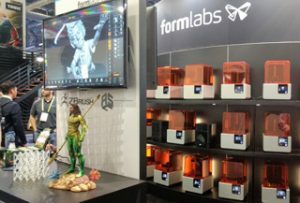 Dynamism, Raise 3D and Formlabs shared space with relative newcomer from Taiwan named cometrue. 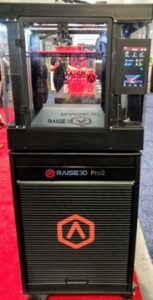 They demonstrated the ability to create a digital crystal “portrait” by first scanning an attendee’s face for 3 seconds and then printing out a custom three dimensional image of that person’s head “inside” a block of plastic. 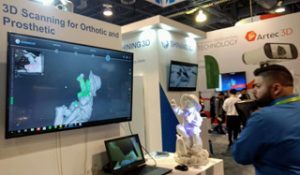 An example of how scanning can be used to create bespoke orthotics and prosthetics was shown in the 3D Printing pavilion. 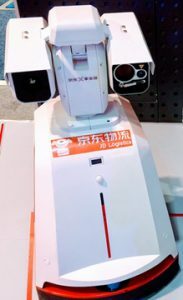 Two giants in the digital, voice controlled and connected world will be moving into the workplace – in offices, factories and warehouses. Amazon’s Alexa will increase the number of IoT devices that can function with their platforms to get a report from Salesforce, make coffee, turn on lights and control temperature in a room, start a meeting, check inventory, reorder supplies, etc. Currently Amazon’s Alexa has about a 2 to 1 market share compared to Google’s Assistant and more than three times the number of connected devices (per an IDC research study). 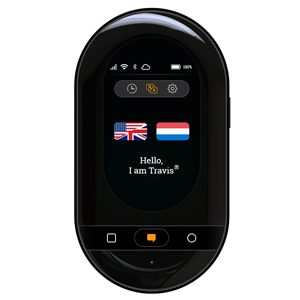 A revolutionary voice related product introduced at CES was the Travis Translator. It can fit in your hand, translate your speech into any of 100 languages and speak it back to you –simultaneously! This could come in very handy for international travel and at meetings between people who do not speak a common language. 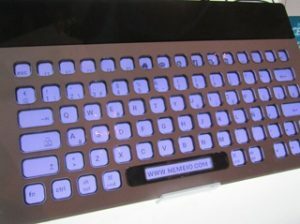 It is selling for US$199. www.travis.com. With so many devices needing AA or AAA batteries, it helps to carry fewer of them, both for space and weight reasons. 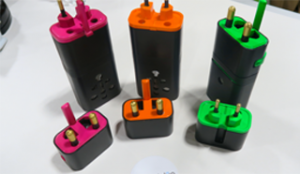 Tenavolts introduced a new line of rechargeable batteries that differ from others due to a few features. 8 hours to recharge compared to traditional Ni-MH rechargeable batteries that may take over 3 hours. 1 hour is enough to reach 70% power. 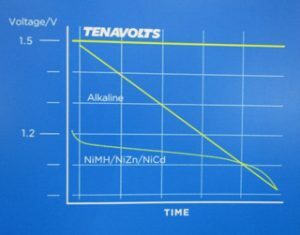 Tenavolts can be recharged 1,000 times and save money in the long run. Unlike other Ni-MH or alkaline batteries, the innovative technology outputs a constant 1.5 voltage from 100% to almost 0% electric capacity. 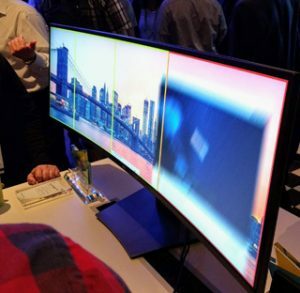 Dell introduced a new 49” curved monitor that allows users to have multiple views on a single, divided screen. JD.COM is China’s largest retailer and has the largest logistics network in that country. 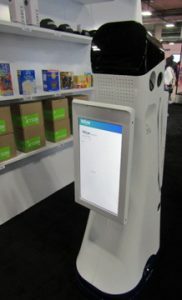 They checked all the boxes at CES with their robots, drones, and autonomous delivery vehicles. Drones also play a role in the warehouse where inspections and inventory management can be more efficiently conducted. 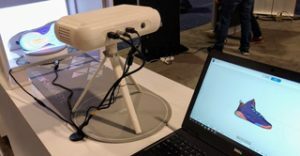 For any messenger or delivery person who rides a motorcycle, or perhaps a bicycle or similar two-wheeler, Jarvish has launched a Kickstarter campaign for a new smart helmet. This product will provide a voice activated heads up display as well as rear camera to enable a rider to see both ahead and behind with the aid of AR. it will cost US$899. 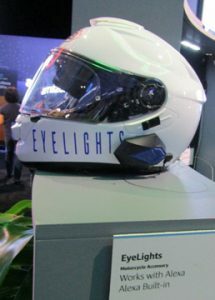 Another helmet called Eyelights works with Alexa to allow a rider to ask for information while keeping eyes on the road and hands on the handlebars. Helite introduced a wearable airbag called B’Safe that inflates automatically. 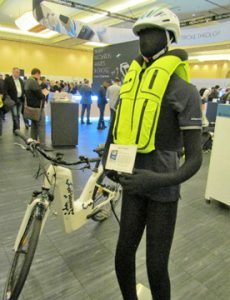 Its sole purpose is to protect cyclists in case of an accident. Of significance, it can even be reused after a deployment. As more and more drivers are turning to their smartphones rather than a car’s built-in navigation system for driving directions, a number of companies have addressed the need for easily and safely mounting their phones in their vehicles. They tend to install either in a cd slot or in an air conditioning vent. iOttie introduced a new magnetic mount to attach to a car’s air vent and allows a user to best use and view their smartphone’s gps. The Ring helps a driver do this too, but also serves as a secure finger grip. A similar product was unveiled by PopSockets, which not only provides the ability to dock a phone, but like some other products, also offers the added benefits of serving as a stand for hands-free viewing, or a grip that enables easier one-handed texting or photo taking, as well as act a holder for headphone wires. With so many electric vehicles coming along, there will be a need for more charging stations. 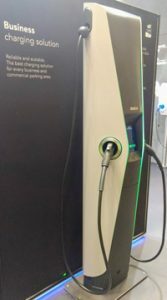 One company, EvBox, is providing solutions for public garages, corporate parking areas, airports and other such facilities. Here’s a new way you might soon share a ride to work. One of the show stoppers was this prototype of Bell’s Nexus air-taxi, a quadcopter due in the mid-2020s. It is being developed with Uber and be capable of being hailed by an app. For the most part, changes in technology evolve and occur gradually, year after year. Then all of sudden, the devices that surround us and play a role in our daily lives seem normal, as if they were always there. Just think back about a decade and how different everything is today, thanks to product innovations.